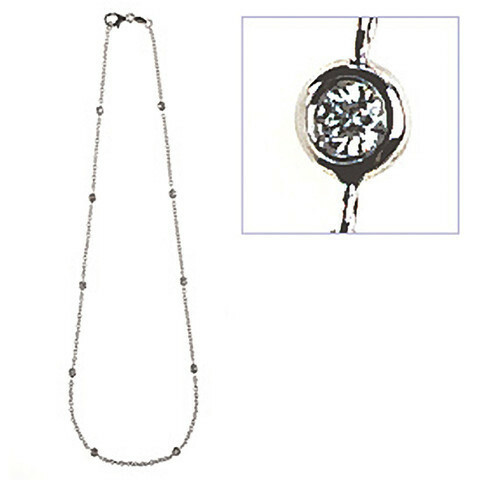 With ten fabulous diamond stations, this Aaron Basha necklace is simply stunning. Each scintillating diamond along the 18kt white gold chain is bezel set for a pristine look and a clean finish. You'll love the elegance that is added to your outfits when you don this amazing Aaron Basha piece!